You’d be hard pressed to find a more iconic actor than Morgan Freeman. From Driving Miss Daisy and Glory to The Shawshank Redemption and Se7en, the man has done just about everything. 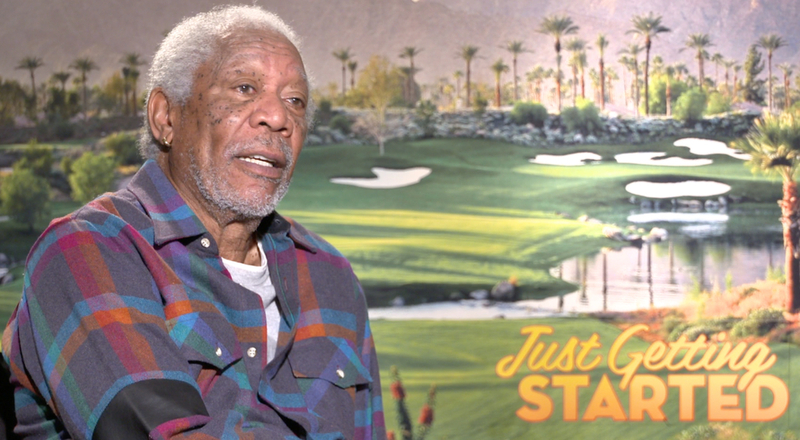 His latest project, Ron Shelton’s Just Getting Started, allows the legendary actor to show off his comedic chops, playing Duke, an ex-mob lawyer who must put aside a petty rivalry on the golf course to fend off an impending mob hit. We were fortunate enough to get the chance to sit down with the Oscar winning actor to discuss his attraction to the film, his take on doing comedy, and his ability to improvise.